You can't evict community power. 2.27.18: Yesterday, after a year and a half of fighting her unjust loophole eviction, Aunti Frances victoriously signed a settlement giving her more time and relocation costs. Aunti Frances and her community closed out a long day of chanting and singing in the courtroom hallways saying “it’s not me, but we." 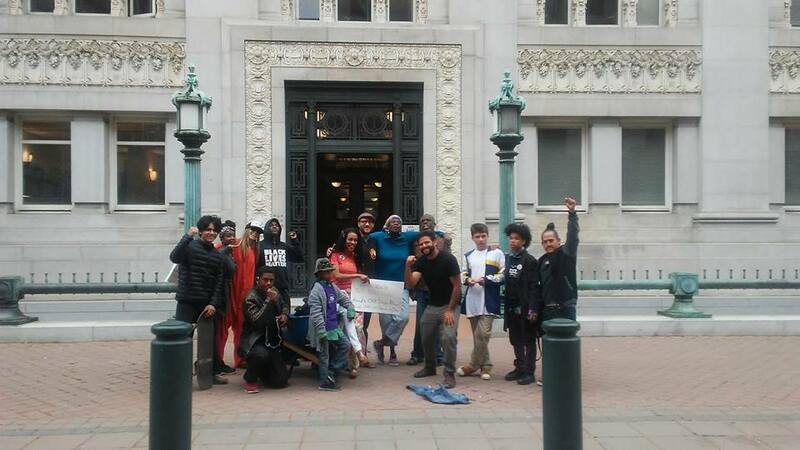 Yesterday’s victory was proof that you can’t evict community power! Today we continue the fight to #ClosetheLoopholes! 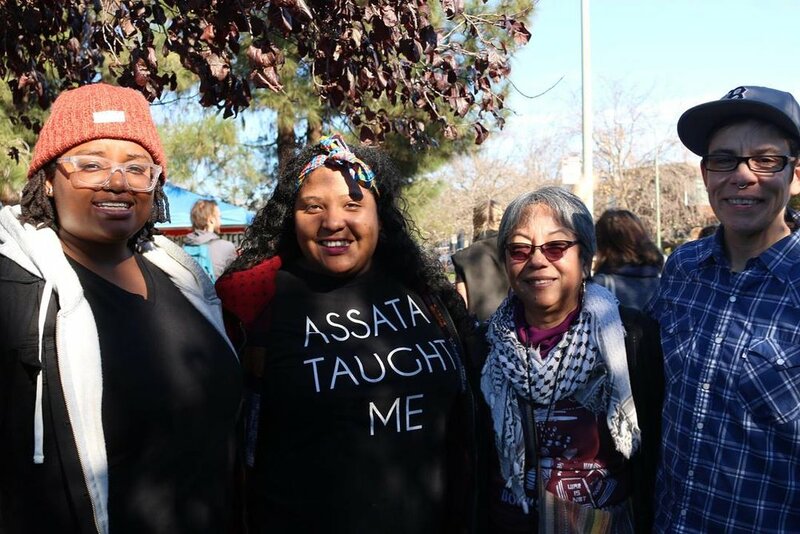 Today, Aunti Frances goes back out to the Hayward court house to sit in solidarity with Clara, an 80-year old tenant & Latinx elder who is being evicted from her home of 28 years through the same duplex triplex loophole the Morphys used against Aunti Frances. Aunti Frances and her supporters met Clara yesterday, sitting across the corridor from each other in the courthouse amidst the community chants. Thank you all for your powerful energy and solidarity thus far. This victory comes with relief and gratitude, and the fight is also far from over. 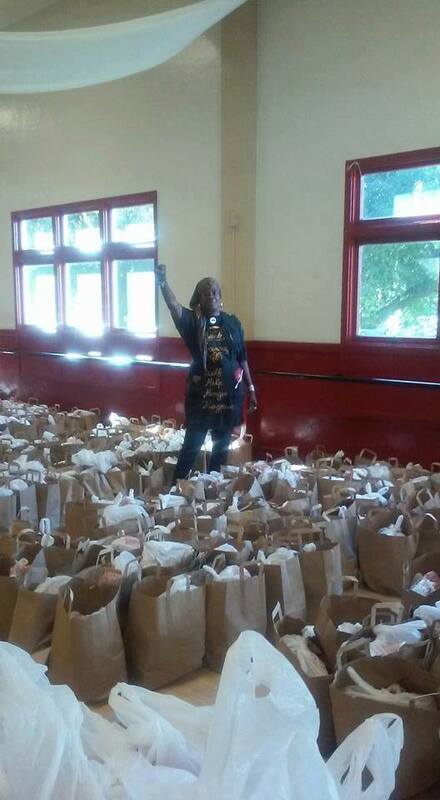 Stay tuned for more info about how to support Aunti Frances, #ClosetheLoopholes and housing justice for all. 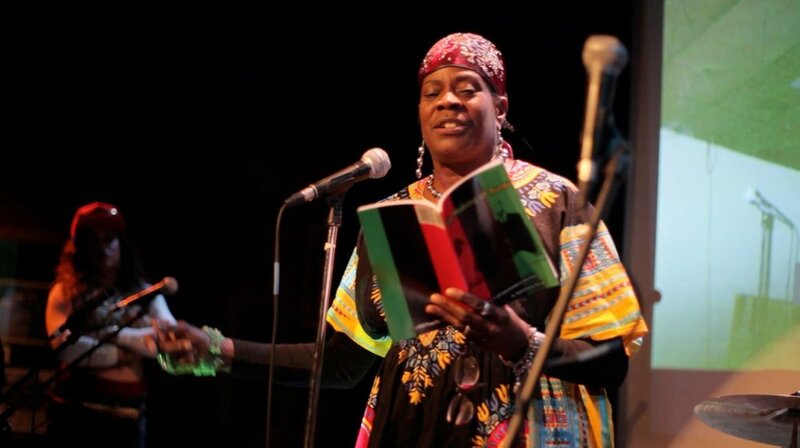 Aunti Frances is a beloved Black disabled activist, elder, Black Panther and community leader who has lived in North Oakland/South Berkeley her entire life. 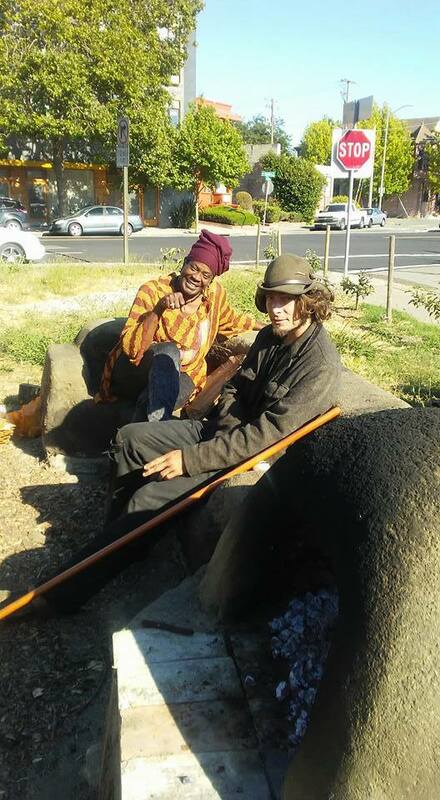 She now faces a no-fault eviction at the hands of Natalia Morphy and Morphy’s parents, who are exploiting a notorious loophole in Oakland renter protections for their own personal gain. Our goal is to show Aunti's landlords, the Morphy family, that this is not just a personal issue - this is a community crisis that will not go away quietly. 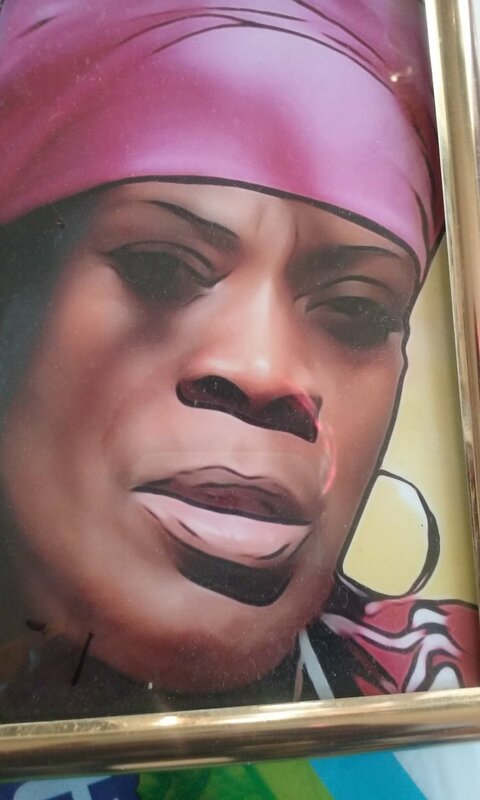 There are so many options that will allow Aunti Frances to keep her home, and we are here to support the Morphys in making the right decision to drop this eviction. We turn to the public to show that there are communities far and wide who are ready and willing to #DefendAuntiFrances. And we aren't going anywhere. You can't evict community power! 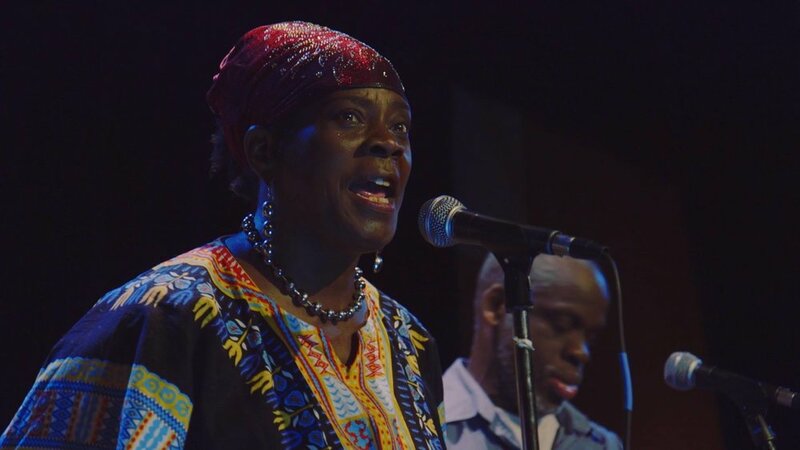 The Morphys must hear from all of us that in supporting Aunti Frances, they are supporting North Oakland -- and that one cannot exist without the other. Our task is to remind Natalia Morphy and her parents of the life-or-death gravity of her choice, and to encourage her to side with resilience, justice, and community. 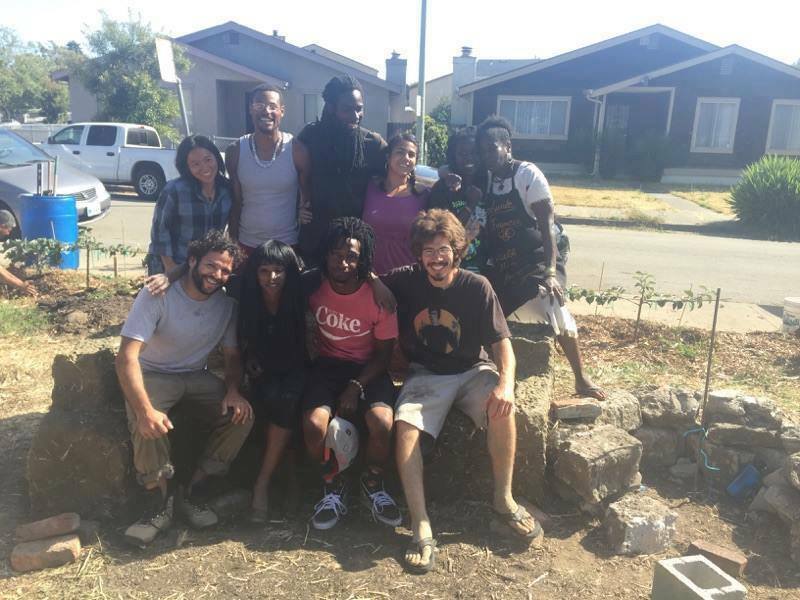 There are multiple ways we can encourage the Morphys to drop the eviction and invest in North Oakland community. 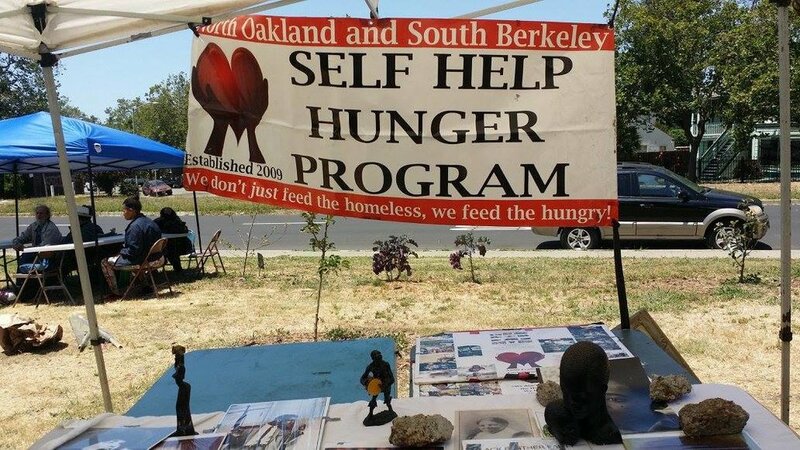 Originally, this fundraiser (made one year ago) was meant to simply fund Aunti Frances' Self-Help Hunger Program. Now, it must cover the upcoming eviction campaign and casts costs. We still have a ways to go to meet our new goal of $8k! Please share widely! "You can't evict community power! 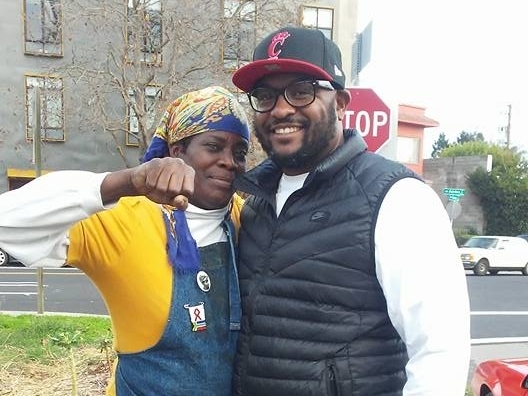 Stop Oakland activist & Black Panther Aunti Frances' unjust eviction. 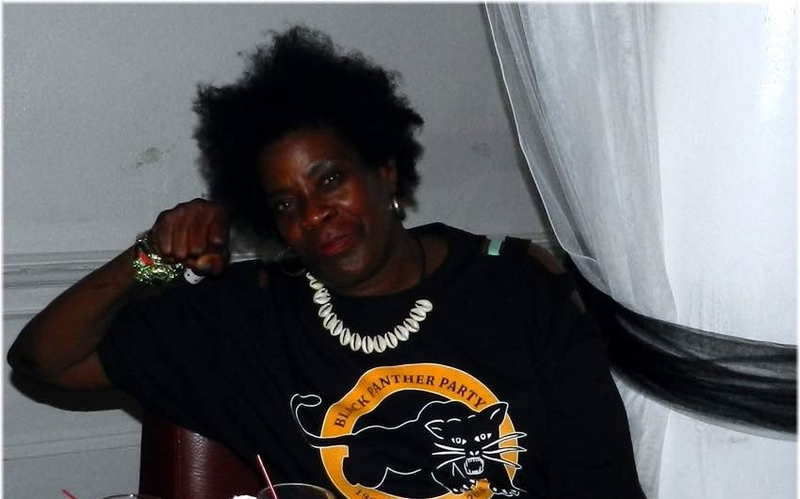 SIGN THE PETITION: http://bit.ly/sign-for-aunti DONATE TODAY: http://bit.ly/donate-to-aunti more info at defendauntifrances.org #DefendAuntiFrances "
To show your support and join our listserv, sign our petition today! Follow us on Facebook, instagram & twitter for the latest updates. 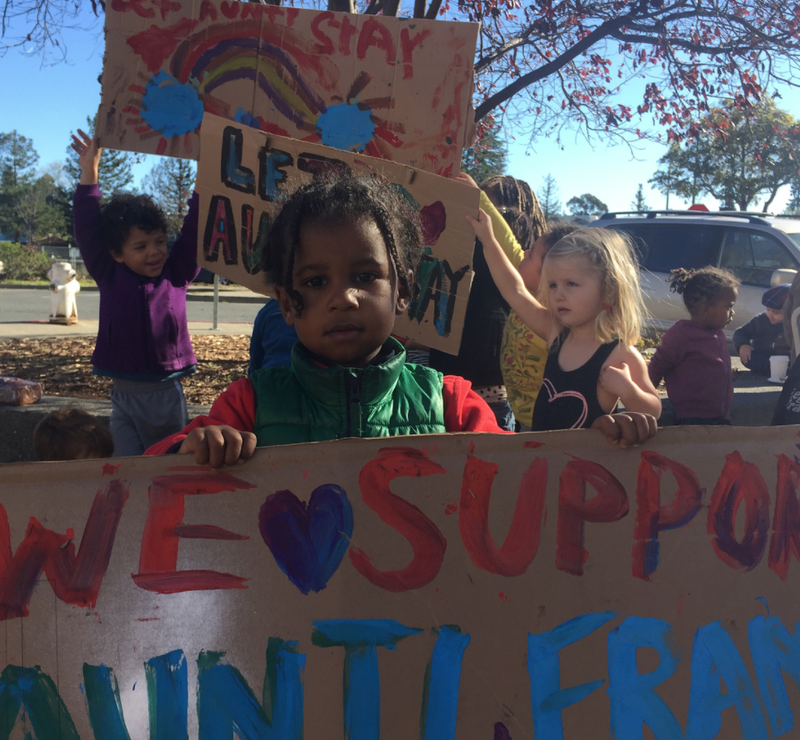 The attempts to evict Aunti Frances signal that Oakland’s redevelopment is moving forward without care and consideration for its longtime residents and community members. Corporate and individual greed continues to displace longterm residents of Oakland and the wider Bay Area, and the most widely impacted are Black and Brown people whose families have lived here for generations. 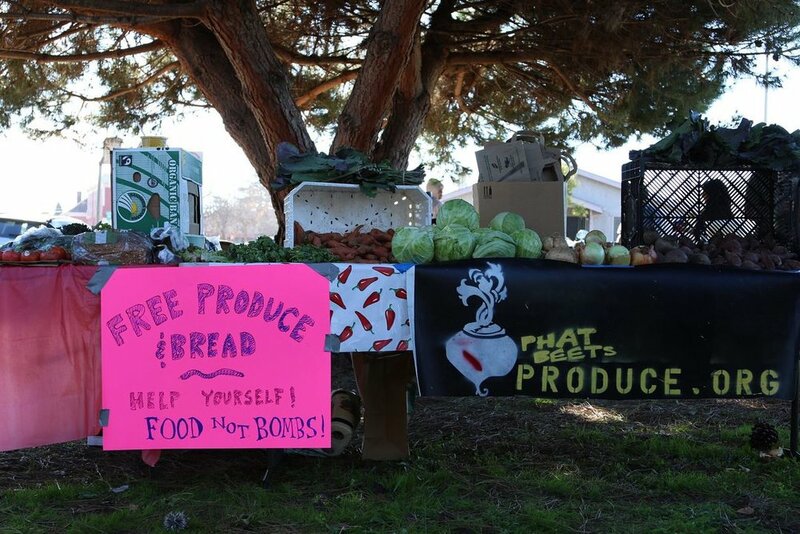 Neighbors, friends, and advocacy organization in the Bay Area will not take this fight lightly. We will do all that we can to defeat this eviction and keep Aunti Frances in her home because Black Homes Matter! 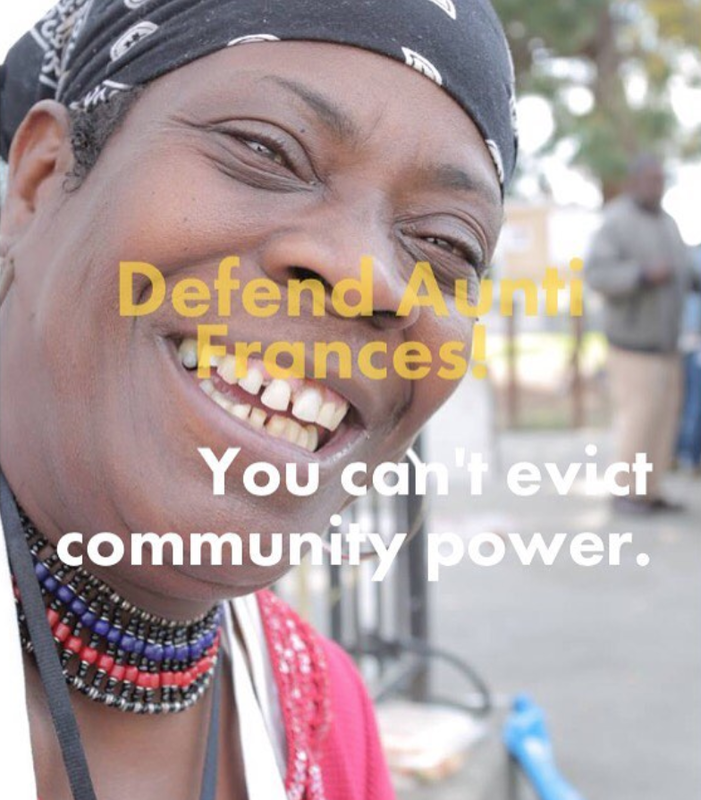 As Aunti Frances' community members and allies, our goal is to stop Aunti’s eviction! It’s easy for the landlords to let Aunti stay, and we’re happy to help in that process. The Morphys have many ways to stop this displacement. Instead of continuing the eviction process, the Morphys can play an important role in righting the wrongs at play. For example, the Morphy's daughter Natalia can simply withdraw the eviction, remove herself as owner, or lower her ownership share by just 1%. We ask Natalia to make the right decision and do any of these actions in order to stop Aunti Frances' eviction. 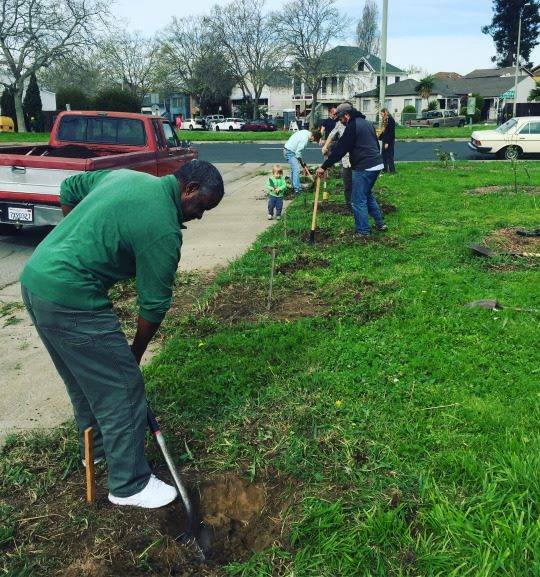 We have reached out to Natalia and have continuously invited her to join community dialogues so that we can find solutions that allow 1) Aunti Frances to keep her home and 2) Natalia and her family to feel like valued members of the North Oakland community. These invitations for dialogue and community solidarity have been ignored, and now we turn to the public in hopes that large displays of support for Aunti Frances can show Natalia and her parents not only what is possible, but what is just.